Q: Could you provide our readers with a brief introduction to PumpMan? 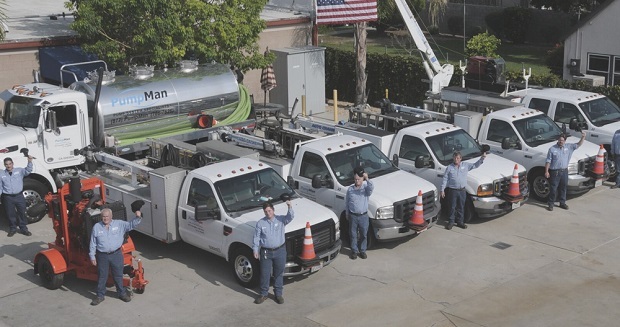 A: With roots in Southern California dating back to 1976, PumpMan provides onsite pump service, repair, parts and expertise to the commercial, municipal and industrial markets in Southern California. Though PumpMan SoCal, Northern California with Bartley Pump and Groundwater Pump & Well, the Greater Philadelphia area with PumpMan Philly, the Phoenix market through Southwest Waterworks, the Pittsburgh market with PumpMan Pittsburgh, and the New York Metro Area with Federal Pump. Q: You’ve recently completed the acquisition of Healdsburg, California-based Groundwater Pump & Well; could you tell us something more? A: PumpMan will integrate GroundWater into its Santa Rosa-based Bartley Pump later this year, relocating its employees, equipment and inventory to Bartley’s location. Since 1990, Groundwater Pump & Well has provided innovative clean water solutions for the residential, commercial, agriculture, water treatment, and well-rehabilitation industries, and they’ll be a great addition to Bartley. Combining their experience, knowledge, and expertise with that of Bartley Pump will help grow the business in the Northern California region. A: PumpMan is a leading provider of pump systems and on-site maintenance and repair services for Commercial, Industrial and Municipal Water Pump Systems in North America. We focus on serving the needs of pump end-users to optimize the performance and reliability of their pumping systems. We seek to expand our service network by acquiring well-established pump sales, service and repair companies in major markets in North America. Q: What makes you the best choice? A: As a leading nationwide provider of pump service and repair, PumpMan offers its customers pump service, repair and expertise with the backing of a nationwide brand. We provide all of our service centers with the necessary tools, equipment and training to get the job done quickly and efficiently. Additionally, PumpMan offers 24/7 emergency service and is always there when your pumps go down. A: PumpMan looks to continue to expand its service and repair footprint throughout the country, focusing on regional synergies.